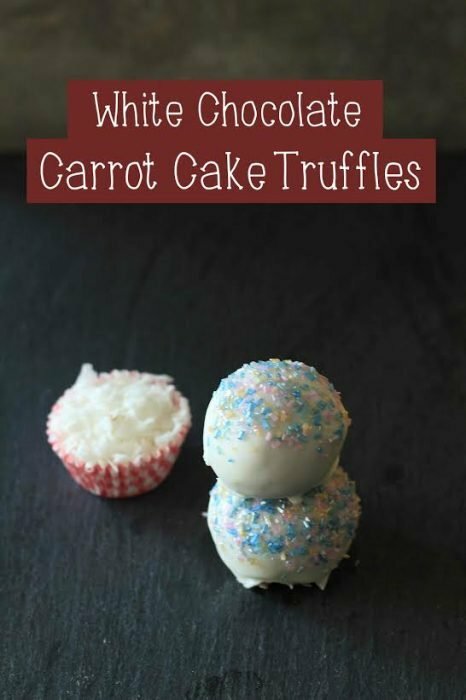 I’m excited today and not only because it is the weekend but because these white chocolate cream cheese carrot cake truffles are to die for! Now, I’m not a baking expert on dipping cake balls into chocolate, but if you have a good baking chocolate and do it on warm heat (low) you will be able to learn this technique very fast. 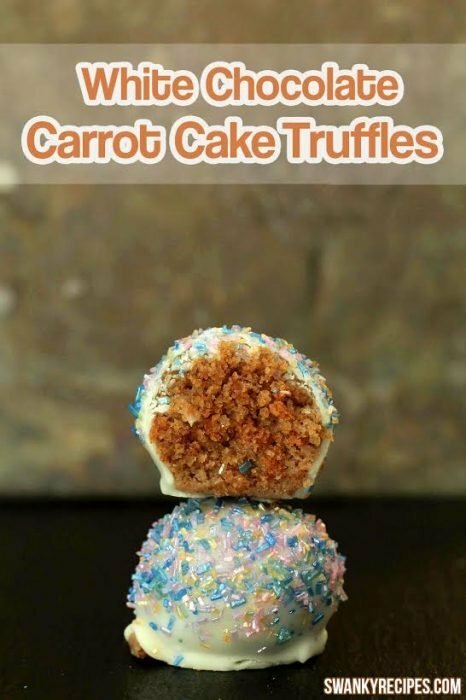 The carrot cake truffles are made with a box mix. 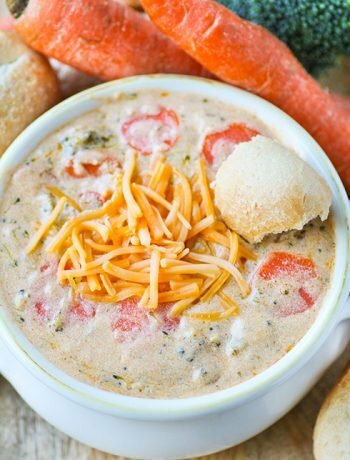 Real carrots, coconut and pecans make this a gourmet and easy recipe to make. Moist carrot cake crumbs are then topped off with a whipped cream cheese frosting and coated with white chocolate. 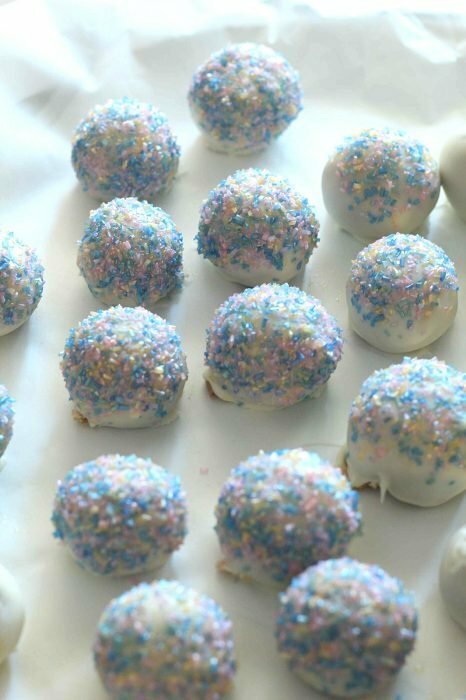 I’m loving all the different things that can be done to truffles and cake balls. Here are just a few ideas. 1. Garnish with nuts, shredded coconut, sprinkles, dusting sugar, cookie/graham cracker crumbs, powdered sugar, drizzled chocolate and more. 3. 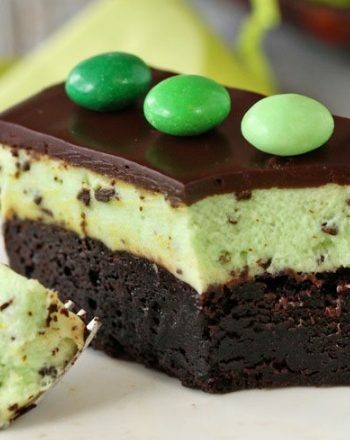 Create different colored white chocolate truffle colors with oil food paste. First start out with a box of cake mix – I chose carrot cake and a jar of cream cheese frosting. Make the cake according to the instructions on the bake of the cake box. Use a 13″x9″ baking pan and follow the baking instructions for that size. Once your cake has come out of the oven, let cool completely before breaking apart. This is very important. If the cake is too hot or still warm than it the icing will get too runny. After your cake is completely cooled, transfer (carefully) into a large bowl. Now comes the fun part. Break it apart with your hands until the cake is just a large pile of crumbs. Take your cream cheese frosting and mix it in to the crumbs, I used my hands for this – it is much faster and way more fun (a little messy though). Now it’s time to make some cake balls. If you have a small scoop – it works best, or you can eyeball it. Just grab a chunk of the mixture and roll into balls using your hands. 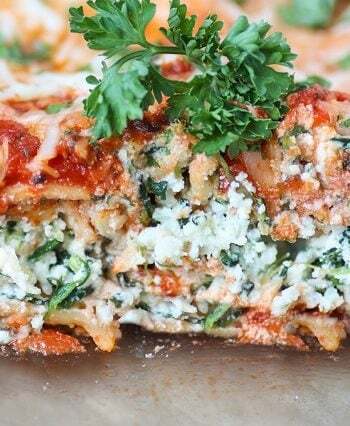 Place on a cookie sheet lined with parchment paper to make clean up easier. Here’s the fun part, dip into chocolate and garnish with assorted sprinkles, coconut, nuts or anything else to make them gourmet. To make flavored chocolate, start with a white chocolate base. Duncan Hines has powder packets called “frosting creations” in different flavors. You most certain can flavor the white chocolate. If you are looking to add color to the white chocolate without changing the flavor, use oil based food paste. **When working with chocolate, if it starts to crumble from heat, add oil and never water. Water will make chocolate crumble more and it may be ruined. However, if you make the mistake of adding water in hope to thin it out (yes I have) you may be able to add oil additionally to thin it out and save the chocolate. Same goes for burnt chocolate. Try thinning it out with oil and removed burnt pieces if at all possible. **I love working with frozen truffles when using chocolate. This allows me to take 1 out at a time from the freezer, coat with chocolate and toppings then quickly place a baking sheet with parchment paper. Because it is frozen, chocolate will harden within a minute or two and the truffle ball can then be moved. Boxed carrot cake mix with real carrots, coconut and pecans. 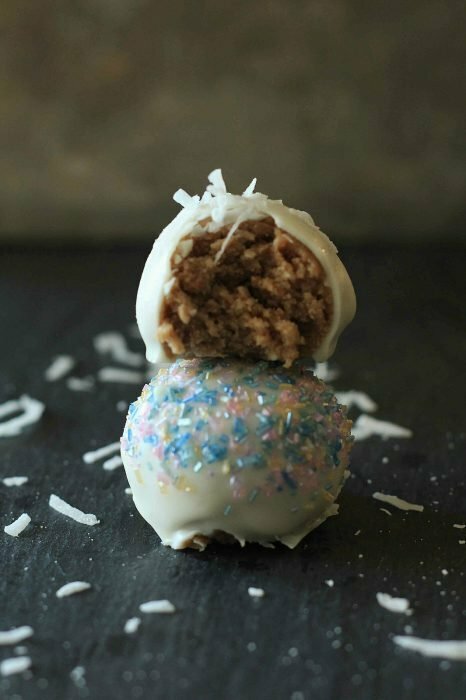 Carrot cake and a creamy cream cheese frosting make these truffles. Coated in a decadent layer of white chocolate. Preheat oven according to cake mix instructions. Make cake according to instructions on the box. Finely chop carrots until you have about 1/2 cup, I used 7-9 baby carrots. Fold chopped carrots, shredded coconut and pecans into wet ingredients. Pour into baking pan and bake according to box. Allow cake to cool completely. Once cool, break into large pieces over a large bowl. Using both hands, lightly roll cake between hands to break it up. It should crumble. If it does not, use two forks and shred the cake. Crumble well. Add half container of cream cheese frosting and mix well to incorporate. Form balls by rolling between hands. If mixture doesn't hold, alternate adding flour/powdered sugar and frosting. Once you can form balls, roll about 1 inch ( It should fit into a tablespoon when rolled). 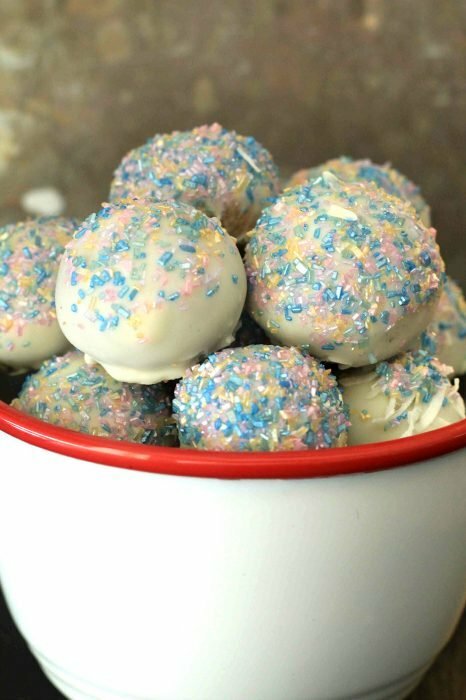 Place truffle balls into a deep baking pan/dish prepared with foil or parchment paper. Cover top with foil and place in freezer for at least two hours or overnight. Heat chocolate according to instructions. Using a sharp tip knife, place one truffle ball at a time on the tip of knife. Dip into white chocolate or using a large spoon, dump a spoonful of the chocolate over the top of the truffle while turning the knife to drip excess chocolate back into the pan. If desired, place sprinkles or shredded coconut over the top. Place on baking sheet prepared with parchment paper or foil. If chocolate is no longer runny, add 1/4 teaspoon oil to get it back to it's original state - liquid (never use water when thinning chocolate out, it will crumble).